Attacking midfielder who joined Manchester United in 2012 after spending two years with Borussia Dortmund. He returned to Borussia Dortmund in 2014. He is well known for his crisp ball handling and great field vision. 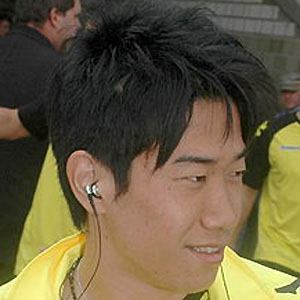 He became a member of the Japanese national team in 2008. He was signed by the Japanese team Cerezo Osaka when he was 17, becoming the first Japanese soccer player to earn a professional soccer contract before finishing high school. He helped lead Borussia Dortmund to Bundesliga titles in both of his seasons with the team. He began dating Margaret Natsuki in 2016. Before him, Kazuyoshi Miura was one of Japan's top goalscorers and a member of the country's national team.